The UK has seen a further 23 biomethane to grid (“BtG”) connections in 2015. This makes a total of 50 BtG sites and means that, for the second year running, the UK has been the fastest growing biomethane market in the world. BtG is the process whereby renewable gas is injected into the UK’s gas grid, giving the UK a highly flexible and efficient source of green, sustainable energy made from organic material include food waste. CNG Services is the UK’s acknowledged market leading provider of BtG connections, having pioneered the technology, from the first pilot in Didcot in 2010 to the first commercial connection at Poundbury in 2012. To date the company has provided engineering and commercial support to 90% of the 50 projects completed in the UK. “Growth of BtG has been spectacular. In 2012 around 300,000 therms of biomethane were injected into the gas grid but by mid-2016, when all the completed projects are at full capacity there will be around 120 million therms/annum going into to grid. That will bring annual green gas production to 3.5 TWh per year. Put another way, that's around 240,000 tonnes of LNG that the UK won't have to be importing from the Middle East or four 60,000 tonne LNG tankers not needing to dock at our ports." The sector has since gone from strength to strength since the first commercial BtG plant at Poundbury in 2012, which was a joint venture between the Duchy of Cornwall and JV Energen. 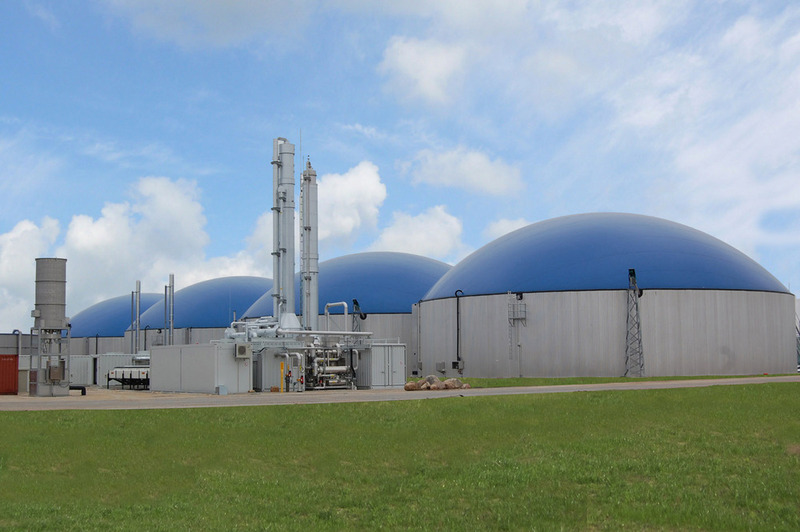 Following that there were two further connections in 2013 at Future Biogas’ plant in Doncaster and at Vale Green Energy in Evesham. Growth accelerated markedly in 2014 with CNG Services connecting over 20 plants across the UK working with customers including Wyke Farms, Severn Trent, Wessex Water, Refood and Future Biogas. “When you look at how fast this industry sector is developing, it’s clear that BtG is going to be the biggest renewable heat technology in the UK. I’m proud of the part we’ve had to play in this success story”. Biomethane has had the support of the Renewable Heat Incentive (RHI) worth £860 million. It can also be ‘tracked’ green gas using the Green Gas Certification Scheme (GGCS). Using the Green Gas Certification Scheme (GGCS) each unit of green gas injected into the grid displaces a unit of conventional gas. So the GGCS tracks each unit of green gas from its injection into the distribution grid to its sale. It tracks the contractual rather than physical flows to ensure there is no double-counting from production to end use.